Newberry College has promoted Dr. Sidney Parrish, Jr., to serve as Vice President for Academic Affairs, a role in which he has served on an interim capacity since July 2018. Parrish, a resident of Chapin, S.C., will assume the permanent appointment effective immediately. In his role as Vice President for Academic Affairs, Parrish will provide leadership and administrative oversight for all instructional programs and related academic support services provided by the College. Parrish will provide leadership for faculty that encourages outstanding teaching and development of a curriculum focused on student academic and career outcomes. Parrish will oversee classroom technology initiatives that enhance student learning. He also will provide strategic leadership for Newberry’s focus on student retention and persistence. “As we continue to build bridges between Academic Affairs and Student Affairs, I look forward to working with Dr. Parrish to provide the best student experience both inside and outside the classroom,” said Dr. Sandra Rouse, Dean of Students. Parrish earned both his Ph.D., and Master of Science degrees in Physical Chemistry from the University of Florida and received his Bachelor of Science degree in Chemistry from Furman University. He brings 19 years of experience in higher education to the position. Parrish began his teaching career as Assistant Professor of Chemistry at Midland Lutheran College (2000-2005) in Fremont, Neb., moving to a position of the same rank at North Carolina Wesleyan College (2005-2006) in Rocky Mount, S.C.
Parrish joined the Newberry College faculty in 2006, serving as full-time faculty, earning tenure and achieving the rank of associate professor. 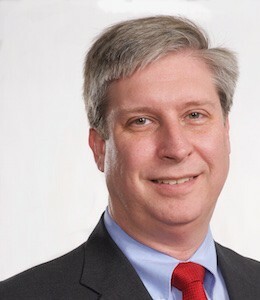 Parrish joined the administration in 2012 as the Executive Director for Institutional Effectiveness. He has served the College as both Faculty Athletic Representative and Title IX Coordinator. In 2015, Parrish was promoted to Vice President for Institutional Effectiveness and Strategic Initiatives and continued to teach part-time through 2016. During the past five years, Parrish has played an integral role as the SACSCOC accreditation liaison and assisting the Board of Trustees in their annual review and update of the College’s strategic plan. He will continue to serve as the Administration’s point person to the Board’s Strategic Planning committee. Parrish also has been instrumental in developing and refining a financial aid matrix that has facilitated student enrollment growth over the past seven years.